Left to right: Drake students Kayla Ferris, Maili Cotter-Brown, Maddie Jones, Jeremy Berdin and Sophia Montoya-Suson appear in Drake Theatre’s production of “Runaways,” Nov. 16-19. NOTE: This production contains material intended for mature audiences. 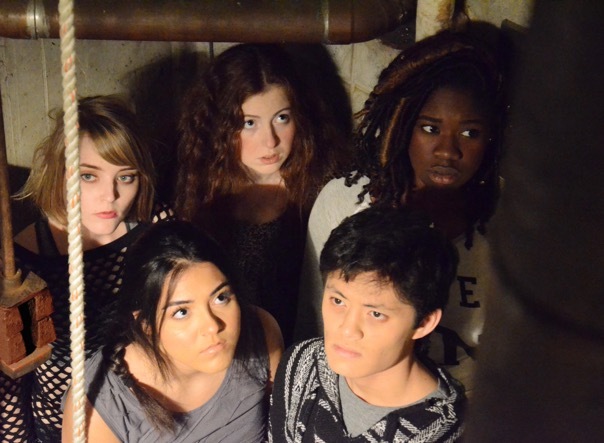 Drake University Theatre’s first musical of the season explores the dark underworld of runaway children in Runaways with book, lyrics, and music by Elizabeth Swados. Runaways is based on a series of interviews with homeless children in the 1970s and spotlights what led these children to become runaways as well as what they have to do to survive on their own. Drake’s production, directed by Associate Professor of Theatre Arts John Graham, runs Thursday, Nov. 16 through Sunday, Nov. 19 in the Performing Arts Hall of the Harmon Fine Arts Center. 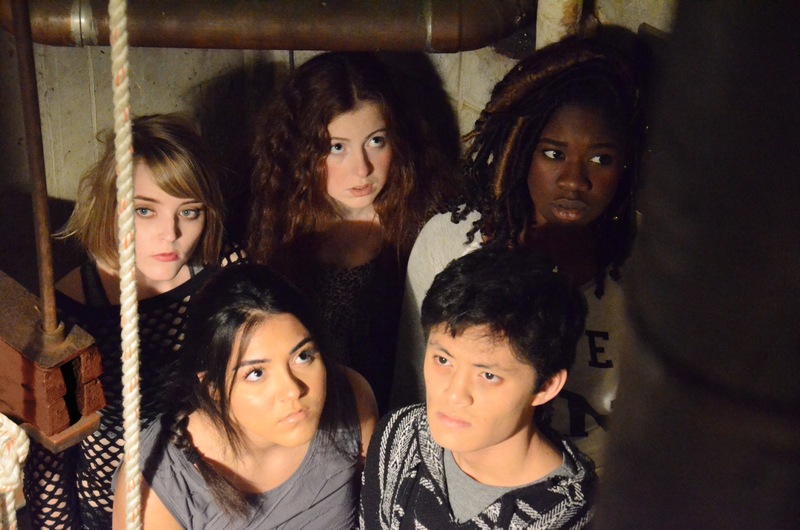 Performances will start at 7:30 p.m. Thursday through Saturday, and 2 p.m. on Sunday. Every character in this show has run away from home for one reason or another, and junior BFA musical theatre major Maddie Sell had to create a connection with a character so unlike herself. These real-life stories show the harsh realities these children face on the streets. Maddie McKeown, senior BFA musical theatre major, said the show depicts themes that aren’t often discussed. This production is largely an ensemble based show, while occasionally a child breaks from the crowd to tell their story. Sophomore BFA musical theatre major, Jeremy Berdin, shared that much of the rehearsal process was about building that ensemble and sense of community among the cast. Berdin hopes the show gives the audience a new perspective on the world and how we relate to those around us who may go unnoticed.